LBPM makes it easy to be an HOA board member. Everything is handled, so you can focus on your properities. Plans for buildings of all sizes… from “mom & pop” four-plexes to 1,200 unit mega-complexes and everything in between. Today’s commercial market requires sophistication and expertise in both management and leasing. We offer both. We help your income property cash flow by finding quality tenants and overseeing all maintenance of the property. For over three decades LBPM has been the premier property management company throughout greater Los Angeles and the San Fernando Valley. After 30 years helping our clients with their investments, HOA’s and all of their real estate needs, LBPM has developed a finely-tuned team of professionals, each with unique qualities and skill sets that enable us to provide a superior level of service in all areas of management from supervisors to accounting to maintenance. LBPM understands the many challenges of being a board member of a homeowners association whether it be in a large or small community. That’s why we believe you should never have to wait for a return call. Effective and proactive communication is the cornerstone of all professional property management and that is why our portfolio supervisors are actively involved and available when you need them. Our experienced supervisors can also provide professional oversight and direction for board meetings and annual homeowners meetings. Every property benefits from regular inspections, which ensure that maintenance and janitorial matters are attended to properly. Through all of our HOA’s within Los Angeles and the San Fernando Valley, LBPM strives to simplify the duties for our boards. We understand board members must have accurate and timely operating reports to make the right call on important decisions concerning their associations which is why we prepare easy-to-understand monthly operating statements delivered promptly each month. Some boards prefer to self-manage and in those cases LBPM can also provide accounting only services which takes on the HOA accounting role so the board can focus on the day-to-day operations. 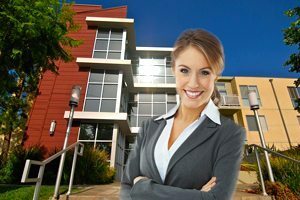 LBPM has been recognized as one of the best apartment management companies in Greater Los Angeles and the San Fernando Valley for many years. After 30 years of helping apartment owners with their properties we understand that stable and predictable cash flow is the best indicator of effective property management. Our professional property management team has structured our marketing efforts to minimize periods of vacancy while striving for the highest possible rents. At LBPM we know that apartment building may have a different significance from one owner to the next, but ultimately they are investments. As such, we focus as much on expense reduction as we do on leasing and occupancy. Let LBPM relieve the burden of managing your properties yourself. With our experience, we guarantee to make property management one less thing for you to worry about. The LBPM skilled commercial property management team is highly educated and experienced in all aspects of commercial property management. At LBPM we understand that today’s evolving commercial real estate landscape requires managers and owners to be more targeted and aggressive than ever in their leasing and retention strategies. Accordingly, LBPM has developed creative and flexible solutions that cater to a new breed of tenants generally overlooked by traditional leasing strategies. We then focus on cultivating long-term, stable and diversified tenancies, which stabilizes and maximizes cash flow for our clients, even in challenging markets. 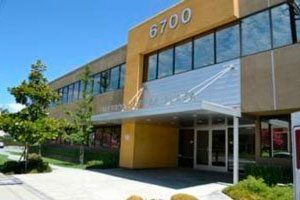 Our commercial property experts work with all types of properties from office buildings, shopping centers industrial parks, retail spaces and storage facilities throughout greater Los Angeles, the San Fernando Valley and surrounding areas. At LBPM we believe that the best way to reduce leasing costs is to minimize the need for leasing. We strive for great tenant relations, making every effort to reach out and maintain consistent contact with tenants. Every lease renewal is negotiated to maximize property valuation while considering the present cash flow requirements of the property. LBPM provides expert property management services for single family homes, condo rentals and portfolio home rental management throughout Los Angeles. 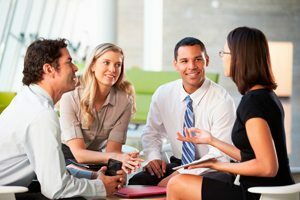 We offer our clients the strength and purchasing power of a large management company, while providing the accessibility and personal touch of a “mom and pop” management team. With our superior customer service, we succeed by making each and every client feel as if they were our only client, and we manage every property as if it were our own. "LBPM has handled our condominium association for just under 20 years. Not only have they performed excellently with the outlined duties in our relationship, they have been a constant partner as the HOA has faced a wide array of issues, problems and successes.I am glad to endorse LB Property for anyone considering the firm as a HOA Management Partner." "For over 20 years now the LB team has been a great resource to our business and has assisted us in effectively working with tenants, resolving administrative issues and always addressed concerns in an expedient manner. We are glad to have them on our team." "Our Homeowner’s Association has been affiliated with LBPM since 2003. That should be all that needs to be said. LBPM has been through tough times and good times with this Association. We have had our share of both. LBPM has assisted us, stood by us, and helped us get through good and bad. We always know that LBPM is there to help us. The communication between LBPM and this Association has been pro-active when it comes to projects. 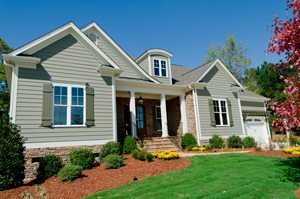 Their follow-through has been excellent and the homeowners get full attention when they call LBPM.This writer has been on many Boards and worked with quite a few property management companies. LBPM has been the best." LBPM provides Property Management services for Apartments, Condominiums, Homeowners Associations (HOA), Single Family Rentals, Commercial Property in Los Angeles, Beverly Hills, Burbank, Calabasas, Canoga Park, Corona Del Mar, Echo Park, El Monte, Encino, Glendale, Hermosa Beach, Hollywood, Inglewood, Lake Balboa, Long Beach, Malibu, Manhattan Beach, North Hills, North Hollywood, Northridge, Pacoima, Panorama City, Playa Del Rey, Redondo Beach, Reseda, Santa Monica, Sherman Oaks, Stanton, Studio City, Sunland, Tarzana, Tujunga, Van Nuys, West Hills, West Hollywood, Woodland Hills and many more. LBPM is recognized as an Accredited Community Management Business by the California Association of Community Managers (CACM) for HOA Management. Call today to get the most professional and efficient property management company in Los Angeles working for you – LBPM. Please be as descriptive as possible, so that we can provide an accurate quote.